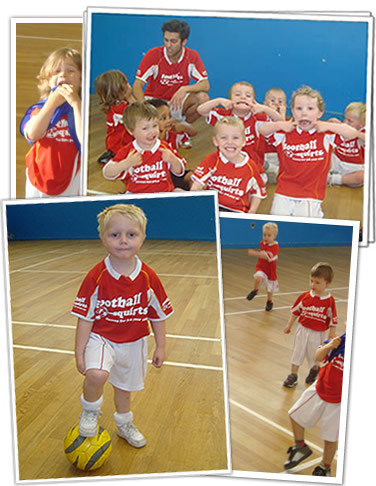 Football Squirts delivers fun-filled football classes for children between the ages of 2 – 6 years old. It’s all about putting a huge smile on their faces whilst enhancing a child’s self-esteem, self-confidence and developing both fine and gross motor skills. We believe that encouraging sports at an early age promotes a healthy life for your child – and this is our passion, this is why Football Squirts exists today!